Mr. Bangladesh (feat. 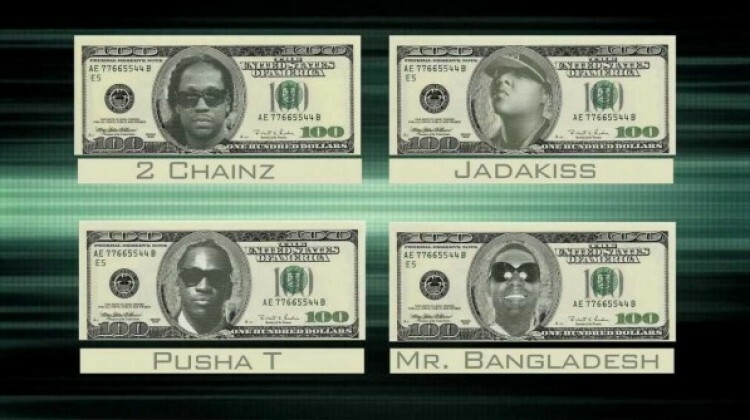 Pusha T, Jadakiss & 2 Chainz) - 100 | zippytrack | Search for new music. Mr. Bangladesh teaming up with some of the G.O.O.D Music stable to bring out another banger A Milli-esque track. Such a simple beat, creating such a dominate tune.